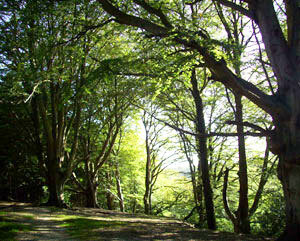 There are at least three ways to finance a woodland purchase with your pension fund. The simplest and most common way of using your pension funds is to withdraw the tax-free lump sum which is available in most pension schemes and use that for the purchase. This is usually up to 25% of the value of the fund and can be taken after the age of 55 (it used to be 50, but because of longer life expectancies and longer working lives it was increased about 5 years ago). This is then cash that can be used for any purpose whatsoever and the advantage of investing it in a woodland is that, as long as it is commercially managed and you have owned for at least 2 years, it may also be free of inheritance tax. If it is not likely to be commercially managed - inheritance tax can still be avoided by gifting it to children; as long as you think you will live for at least 7 years and can trust them not to sell it or keep you out! 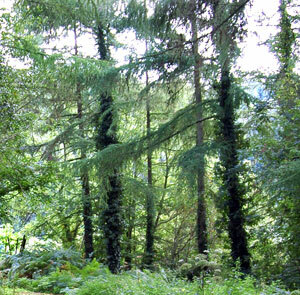 Another way of using a pension to buy a woodland is to buy it within your SIPP (Self Invested Pension Plan). We have a blog about that here. 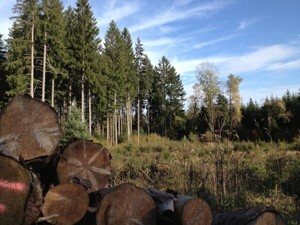 This requires you to manage the woodland commercially and pay an administration fee to the SIPP provider. However, the recent change that the Chancellor announced is that when you die - your surviving spouse will not pay the 55% "death tax" on your pension fund where the woodland is held. What's happening is that from April 2015 payments of pension monies from the estate of someone who dies can be transferred tax free to their beneficiaries if the person who dies was under 75. If, however, they are over 75 there will be tax charged but at a much lower rate than previously - it will usually be taxed at the marginal rate of the beneficiary. This is all very new and was a surprise announcement by the government in a recent statement - so the woodland can either be passed on tax free or at a lower rate of tax, depending on circumstances. The third way that you can buy a wood with money you have in a private pension is, after the age of 55, simply to release some of your pension fund in cash and pay it out to yourself. The thing to be careful of is that this money will be taxed as income at your marginal income tax rate, so it works quite well if you are a lower rate taxpayer or is even better if you are under the tax threshold, but such payments will usually generate at least some tax but probably less than you might think, and this represents a way of getting access to some of your pension capital. It may be best for people who are taking capital out of their pension schemes in this way to do it over a couple of tax years. It may be attractive for couples to each take out some money, where they both have private pensions, and use that combined money to finance a capital purchase, such as a woodland. As with all financial and pension matters it is as well to seek an accountant's advice on the detail and timing. In any event, it has for many years been UK government policy to make investment in woodlands attractive from a tax perspective - and recent changes should help more people to buy a wood of their own. Buying a woodland with your SIPP.